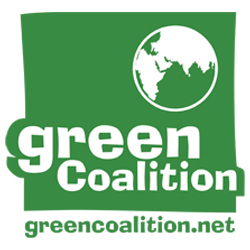 Green Coalition Network is an independent non-governmental environmental advocacy organization that was informally founded in the year 2000. Green Coalition is dedicated to improving public health standards, protecting the environment and promoting sustainable development and ethical business. They provide practical eco-friendly solutions that integrate long-term economic prosperity and sound social development, thereby bringing about real positive change. They are consultants to the health and nutrition industry with a focus on dietary supplements, nutraceuticals, functional foods, OTC pharmaceuticals, natural and organic products, ayurvedic medicines and cosmeceuticals. Besides, they are also an established provider of authentic and credible premium health content and environmental content for consumer and media use. They implement this by influencing public opinion, building constructive partnerships with industry and the government and promoting community and corporate programs focused on youth and public participation. They want more active volunteers and members. You can also have a look at their current requirements. So this was all about GCN. This post is a part of BlogAdda's Bloggers Social Responsibility (BSR) initiative. I am exercising my BSR. You can too with three simple steps. Visit blogadda.com/bsr and support the NGO's. Great initiative and a great post !! Thanks for sharing this with us !! This is an interesting and informative post, I must say. Thanks for sharing.